Wounded Warrior Project aims to empower wounded veterans, but a recent exposé revealed that the charity spent nearly half of its funding empowering its executives instead. The board of directors responded by beginning to clean house, starting at the top. Wounded Warrior Project has raised more than a billion dollars in donations since 2003, according to CBS News. 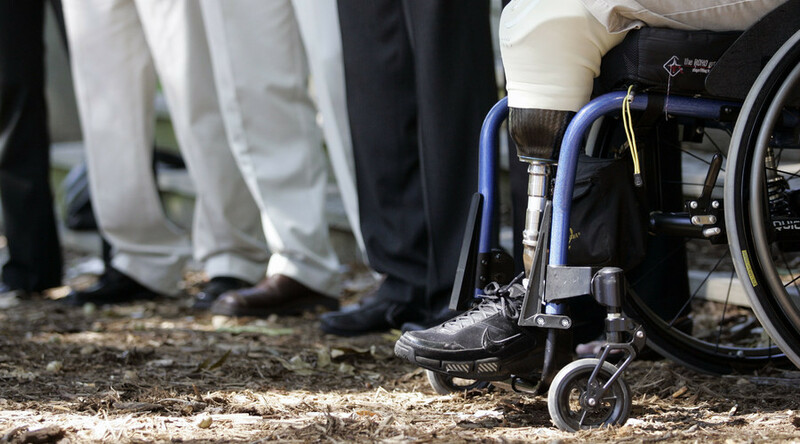 Donors might expect their money would be used “to honor and empower Wounded Warriors,” as the nonprofit’s mission states. However, CBS revealed the charity spends between 40 to 50 percent of their money on overhead – while other veterans’ charities spend an average of 10 to 15 percent on the same expenses. Wounded Warrior Project Chief Executive Officer Steven Nardizzi and Chief Operating Officer Al Giordano were both removed from the organization after accusations arose alleging that the charity’s donations were being misused. The nonprofit’s website says that Nardizzi was a founding member, who spent 10 years as an attorney representing disabled veterans for several veterans service organizations, among other charitable positions. Over $26 million was spent on employee conferences in 2014, compared to $1.7 million in 2010. The events were described as being lavish and boozy, such as one annual meeting held in a luxury hotel in Colorado Springs, where 500 staff members attended a four-day conference that came with a final price tag of $3 million. What comes next for Wounded Warrior Project remains to be seen. However, Charity Navigator, a nonprofit that evaluates other nonprofits based on their transparency, accountability, and finances, has added Wounded Warrior to their watchlist. With more eyes on the charity now, more money might reach the 50,000 veterans that donors aim to help.